click photo to enlarge Ahhh my wife says I take her to all the bestest places<grin>. 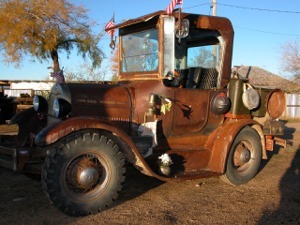 Over the last few years we have visited Chloride Arizona about half dozen times. Usually to stop at one of the local silver smiths to get her jewelry. 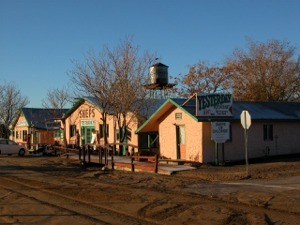 BUT, I had told her I wanted to spend the night here so we spent two nights in beautiful downtown Chloride. click photo to enlarge Here are a few of the local houses. As you can see it is a very colorful town. 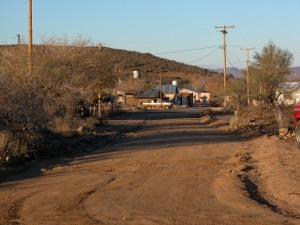 Chloride has become know as a living ghost town. 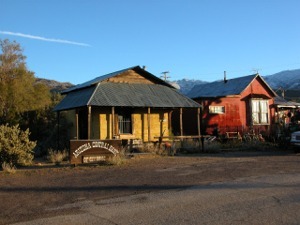 It was a large and thriving mining town but as the mines played out the miners left. Today it is becoming known for it local crafts and artists. click photo to enlarge This is the motel where we stayed, Sheps Miners Inn. The wing closest to you in the photo are the rooms. The walls are adobe and the roof tin. The part in the middle is the restaurant. They had entertainment each of the two nights we were there. It made for a very enjoyable time. We would eat dinner and converse with the locals. There was another contingent who was spending the week there that we got to know. In fact, one group was spending their 50th wedding anniversary there and one of the local women had baked them a homemade apple pie to celebrate it. Now where are you going to find friendly people like that. Food was very good also. click photo to enlarge I had seen this vehicle at the restaurant the night before. Then later at the local bar. While snapping pictures the next morning I got to get a closer look at it. It has things like Lil Soul Winner and Jesus Saves painted on it. It was quite the vehicle! 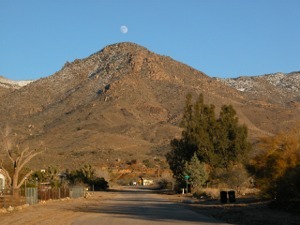 Here the moon was rising over the local mountains. There is still a little snow left. The day before when we had arrived they had snow in the local mountains. Something that may only happen a few times a year. I have pictures of it and it is pretty but I wanted this page to tell the story of Chloride so there wasn't room. Yes Karen I only take you to the Bestest Places !!! Ya know if it fits in our plans we'll stay here again. We had a very enjoyable two nights.